Since our big snowfall on the weekend I have been trying to figure out how to winterize my entry way. By winterizing I mean waterproofing my entry way rug at both my doors. Both runs sit on my hardwood floor that I would love to preserve and keep in the condition they are in which is new condition. My rugs have a bit of a rubber backing but nothing to waterproof them so that the water and wetness goes right through to my new hardwood floors. This isn't something I can deal with on a daily basis. After a google search turned up nothing for me besides buying very expensive carpet that was not within my budget. So I thought what could I do that would serve this purpose for my house. 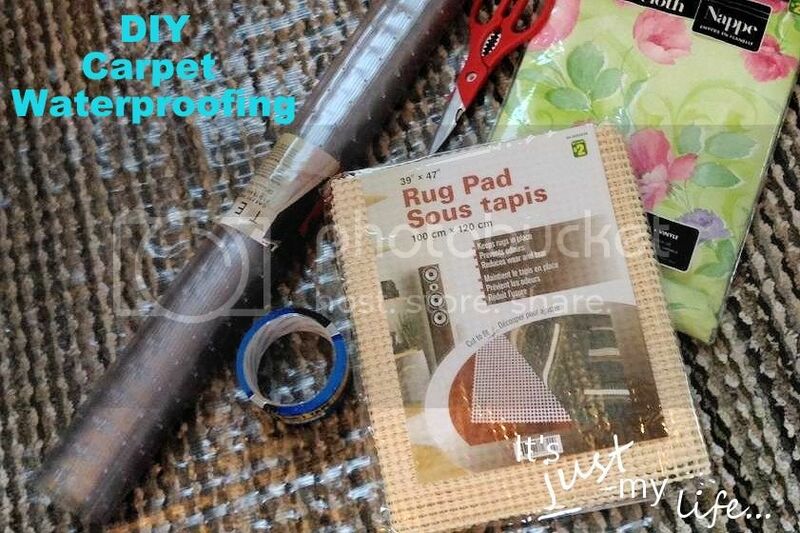 I decided to get a waterproof table cloth that has a backing on it as well as a grip pad for the bottom of the mat so that it doesn't slip on my hardwood floors. I need it to be safe for us when we walk into our house. While I was at the local dollar store looking for supplies to do my DIY project I noticed some vinyl runners to go on top of the mats. How perfect would they be to help keep the water problem down at the entrance. After cutting the waterproof tablecloth to size, I place it waterproof side down on the bottom of my carpet. I left a little space around the edges so I could adhere it there with duck tape. I couldn't find carpet tape so I used duck tape instead and it seems to be working quite well. 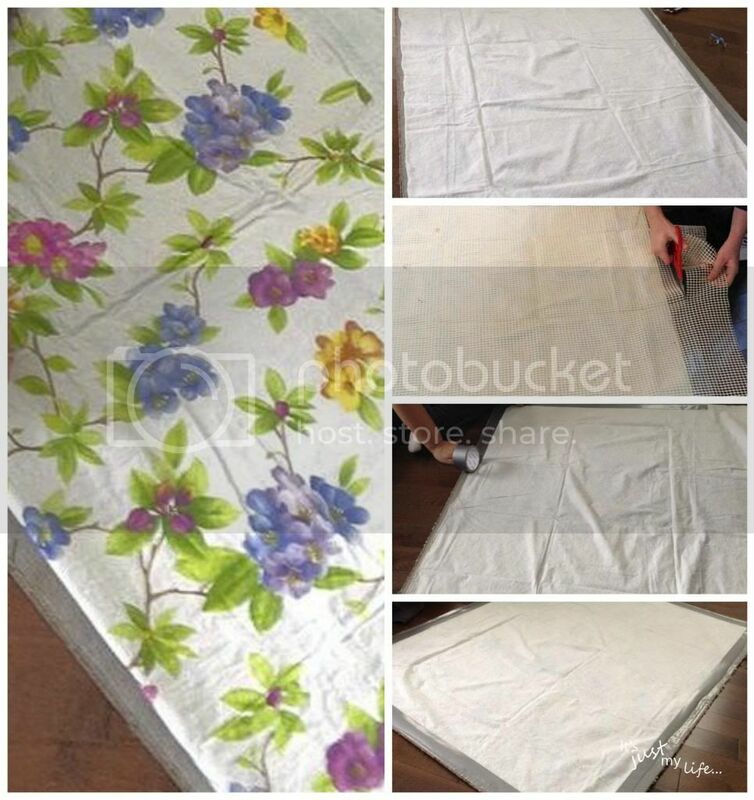 Once the tablecloth was completely adhered, I place the non-slip cloth on top of it and cut it to size. Once it was all done I flipped it over and placed it at the side door to use at our entrance. 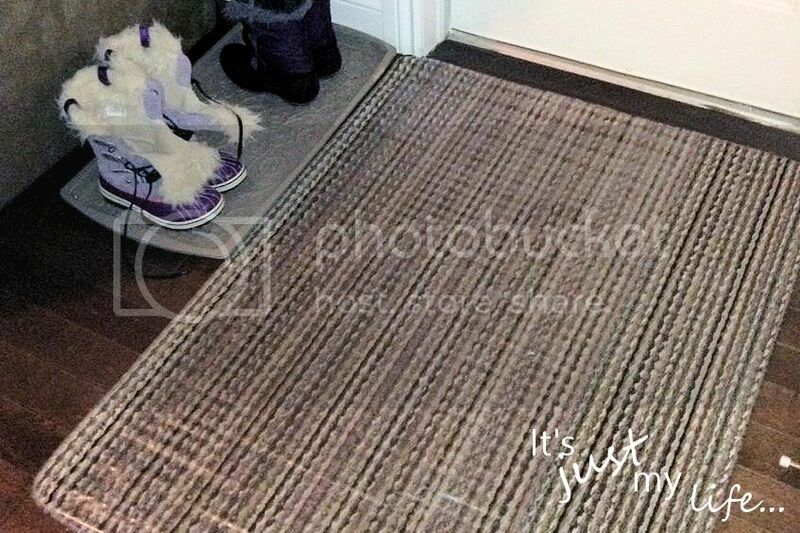 I did the same thing with the carpet at my front door. Once the carpets were done I added a vinyl runner to them so that it would help keep the wetness away from the carpet. The project is now done and working perfectly for my family. The whole project cost me $10 to do both carpets which is far cheaper than the $150 I was looking at to replace them with spill guard carpet. What DIY projects have you done lately? Leave a comment below with a link to your blog or a description of what yo have done lately.